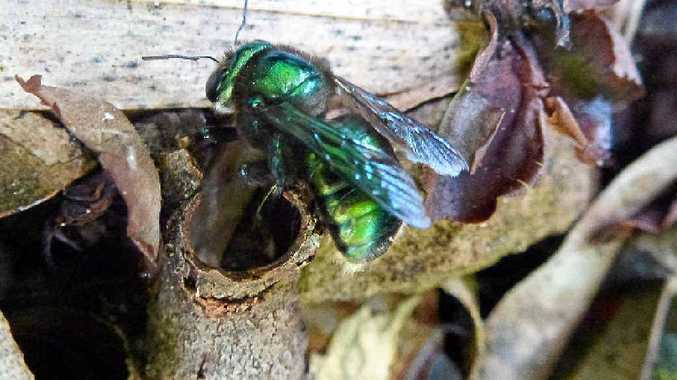 NATIVE bees in Gympie are helping gardens grow but need help before it gets cold. A simple bundle of sticks could ensure Gympie bees' survival, Backyard Buddies suggested to Gympie gardeners. 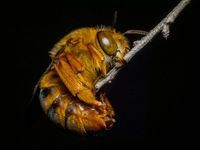 "When most of us think of bees, we imagine the European honey bee, with its distinctive yellow and black stripes," National Parks and Wildlife CEO Susanna Bradshaw said. 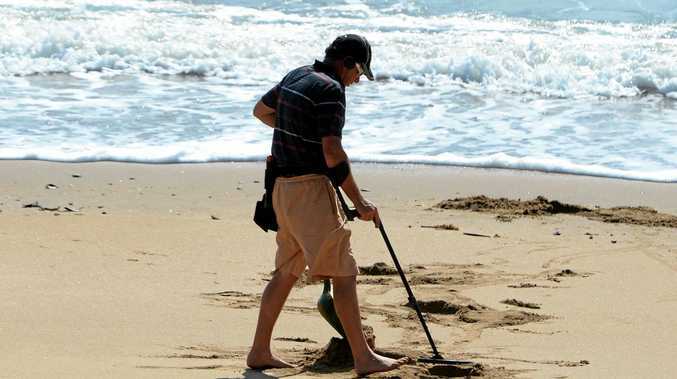 "But did you know there are over 1,500 native bees across Australia? And most of these bees look nothing like their European cousins." There are two types of bees in Gympie - solitary and social bees. Social bees live in hives and work cooperatively. Solitary bees like to keep to themselves and usually only get together to mate. It's these solitary bees needing help in autumn. "...solitary bees are looking for little holes to lay their eggs in before it gets cold," Ms Bradshaw said. 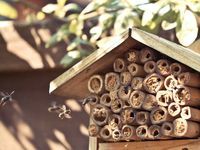 "You can easily help these useful pollinators by providing them with their very own house or apartments to keep their babies safe over winter." The Shack - Very popular with reed bees. Gather some dried sticks with pithy or hollow centres like hydrangeas, sugar cane or bamboo. Simply tie them together and hang them from a tree. The House - Resin bees love these homes. Using different sized drills, make several holes in a hardwood block about 10cm deep. Keep undercover or give it a roof and wait to see the tell-tale plugs where an egg has been laid. The Apartment - Blue-banded bees love to nest near their friends in a bee apartment. Using a few concrete besser blocks from your local hardware store, fill them with a light clay and make a few small holes with your fingers before leaving the clay to dry. Try to make at least three blocks and stack them to make your bee apartment.